Let me begin with saying that I’m a Marvel fan at heart, but I was tasked a job to review some DC animated films. Some were good, some were excellent. The TV shows were outstanding. But the latest movie The Death of Superman really captured the comic feel in animated form. I love every minute of it and loved the way it set up a sequel. The Animation was well done, the voice actors were awesome (I love the way the justice league was involved, unlike Superman: Doomsday or the animated series which feature Doomsday). 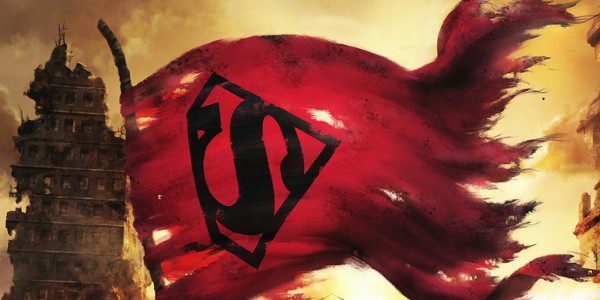 So, the death of Superman had everything the comic did and more. And the way Superman passed away is different from the movie too. And the credits also did like to comics and set up the next movie in line which is Reign of Supermen. This is a must see for all and any DC fan. I also had gotten the special edition which included a mini figure of Superman in ripped clothes. From the dc comic vault Legion of superheroes season 2 Dark victory part 1&2 is the season 2 finally where the legion has to fight Brainiac 5. And trailers: Batman Ninja: which I did a review for and Suicide Squad Hell to Pay: another movie which I reviewed.